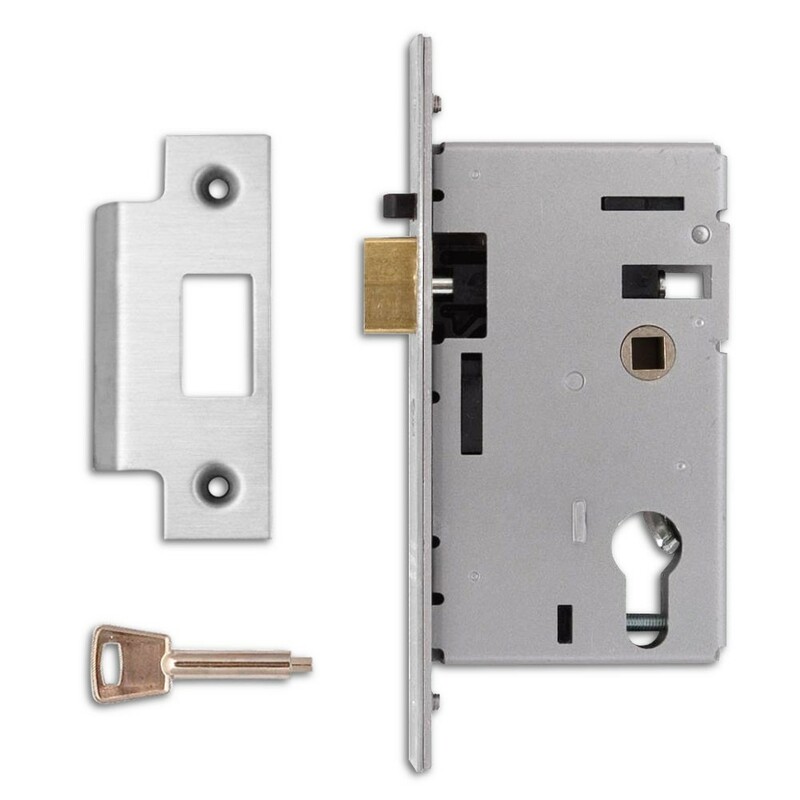 The Union JL2349 Euro Cylinder Nightlatch Case latchbolt is easily reversed without opening the lockcase. Latchbolt is withdrawn by single euro profile cylinder from, outside and lever handle inside. Door is automatically deadlocked when closed. Latch can be held in withdrawn position by operating a snib in the forend, with the special key supplied. Can be operated by key from either side using double cylinder.